Junichiro, a JMGA-certified alpine guide, takes on this 2-climb to the top of Mt.Okuhodaka (3190m), at the end of spring, over the the last snow remains. The Japan Alps are truly beautiful and they offer an easy access to the mountains. This is a beginner level tour and takes place during May and early June, in spring, when there is still some snow in the mountain. The route is a very popular hiking trip in summer. We will meet at the Kamikochi Bus Terminal, in the Nagano Prefecture. Kamikochi is a tourist town in the Azusa River valley. 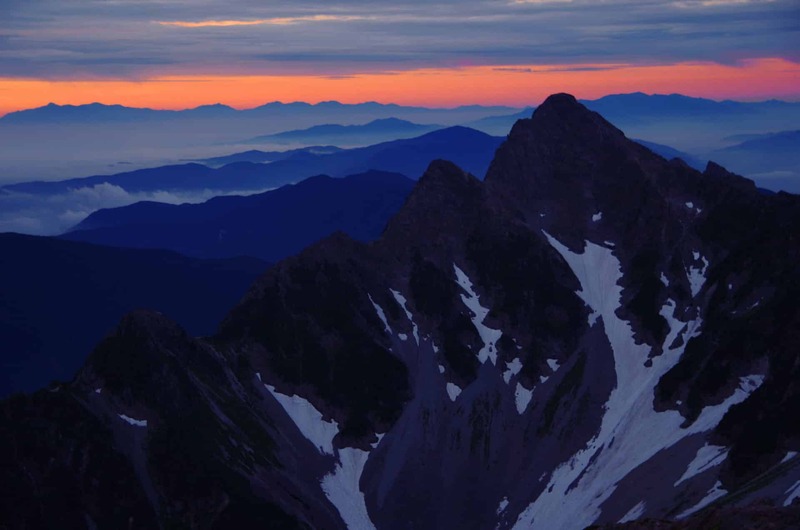 From there, we will walk to Yokoo and stay overnight at the Karasawa Mountain Hut. From the refuge, we will go forward to Kitahosawa the next day, and climb up to Mt. Kitahodaka. 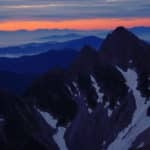 After enjoying a great view from the summit, we will go back to Kitahosawa and come back to Kamikouchi through Karasawa. Our tour will end at around 4:00 pm at the Kamikochi Bus Terminal. Please note in order to join this climb you need previous climbing experience on 3000-meter high peaks in summer, and on 2000m in winter. So if you want to join me and climb Mt. Kitahodaka, send me a request. Book your trip and I will take you on a great tour in the Japan Alps! If you are looking for other hiking options, you could check out my profile page. The price does not include: Accommodation fee - Transportation fee - Guide's expenses -The cost of Gas, Transportation, Parking and Accommodation fee, etc, will be split within tour participants. *Please split within tour participants. *Please inquire for the other items. * Cancellation Policy - This tour will be changed or cancelled due to the bad weather condition or others by guide's decision. We will announce by two days before of tour date. - When we cancelled the tour due to weather at meeting place, we will refund guide fee except guide's expense. - When we need to cancel the accommodation, please pay cancellation fee individually. Please see Cancellation Fee as below in case of last minute cancellations for personal reasons: - For cancellation 15 days before the trip - no charge - For cancellation 8-14 days before the trip - 30% of Trip Price - For cancellation 2-7 days before the trip - 50% of Trip Price - For cancellation 1 day before the trip - 80% of Trip Price - For cancellation the day of the trip or without prior announcement - 100% of Trip Price - When we change trip route or cancel the tour after tour started due to weather condition or the others, we will consult with the participants and reset up the trip price. I had a crush on Mt. Hodaka when I first came to Karasawa Cirque by helicopter to work for Karasawagoya Mountain Hut. I was struck by its amazing landscape from above. Since then I have been working in the mountain range in a lot of different ways. First, as a hut worker for 4 years, then as a member of the prefectural mountain rescue team for 6 years. And last year I started my career as a professional mountain guide. I'm deeply in love with not only the nature but also the people attracted to the mountains. Why don't you join me to enjoy the unique beauty of the Japanese mountains which are not easily accessible to all! I am a JMGA alpine guide, but I also hold the Nagano prefectural special interpreter licence for English, as well as am a qualified First Aid Basic Provider certified by the Japanese Society of Mountain Medicine. guides you with a lot of knowledge and joy! Junichiro is Japanese but speaks English fluently, this makes the communication very easy also for people that come from abroad! I enjoyed every moment of the trip and I am grateful for this beautiful experience in the stunning nature of Japan! 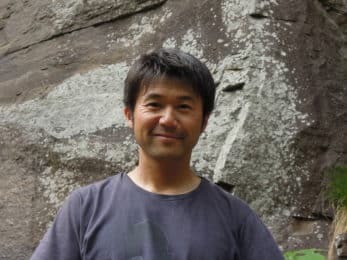 I can fully recommand Junichiro Aoyama as guide for anyone and especially for foreigners! Hiking - 5 days - Interm.